Welcome to Wagon Wheel Antiques located on Rt. 8 just 5 miles north of the PA turnpike. Come browse one of Pittsburgh's best selection of antiques and home decor; and furnish your home in unique style. Whether you're just starting out and furnishing your first home, or remodeling, consider fine furnishings from Wagon Wheel Antiques. We offer four buildings (over 6800 sq. 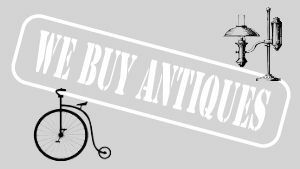 ft.) which are home to over 20 antique dealers that offer quality antiques for both casual and serious collectors. Looking for movie props? Wagon Wheel is the first choice for many of the areas movie and theater prop buyers. Whatever you need, chances are, we have it! Become Wagon Wheel's next dealer! Are you thinking about becoming a dealer at the Wagon Wheel? 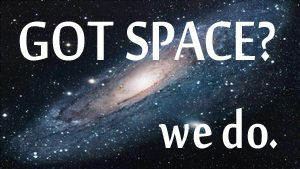 We have space available for you. Just give us a call for details. Some of the things we have! Furniture, China, Primitives, Rugs, Lamps, Tools, Clocks, Linens, Pottery, Silver, Coins, Glassware, Jewelry, Art, Frames, Vases, Mirrors, Military, Mantles, Matchsafes, Collectibles, and much, much more. Come check us out! And the question we are asked almost everyday...do we buy antiques. Yes we do. You can bring your items to the shop any day, and one of our dealers will make you an offer on the spot, or you can have one of our dealers come to your location to review your items with you. 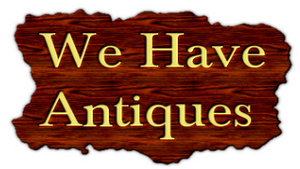 Do you have someone on your list who is hard to buy for but loves antiques? We can help!! 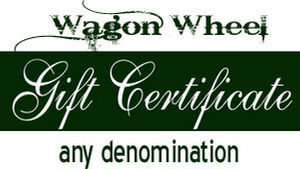 Wagon Wheel sells gift certificates in any denomination. Stop by and pick some up. Wagon Wheel Antiques is now in our 42nd year, one of Pittsburgh’s longest surviving antique shops. Come take a look around!